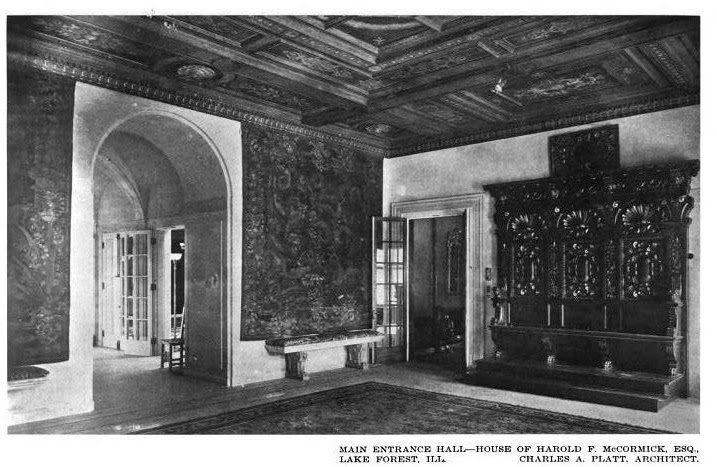 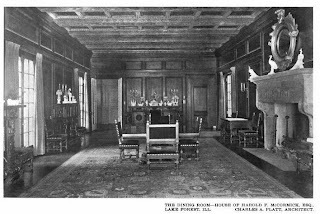 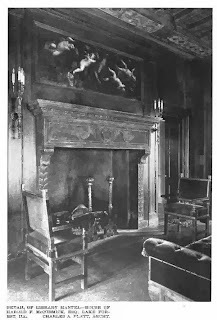 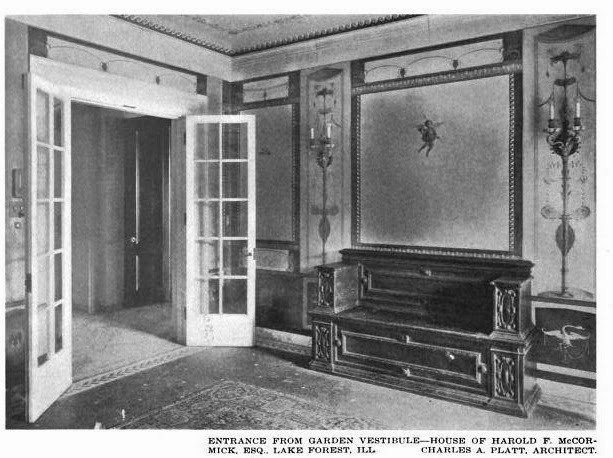 The accompanying interiors to 'Villa Turicum', the Harold F. McCormick estate designed by Charles Platt between 1908-1918 in Lake Forest, Illinois. 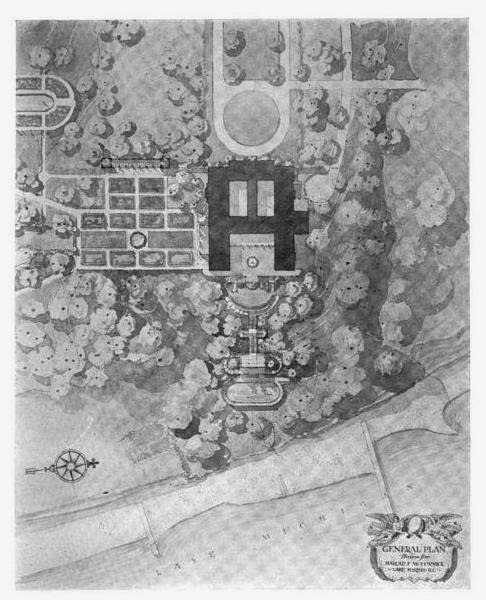 Click HERE for more on 'Villa Turicum'. 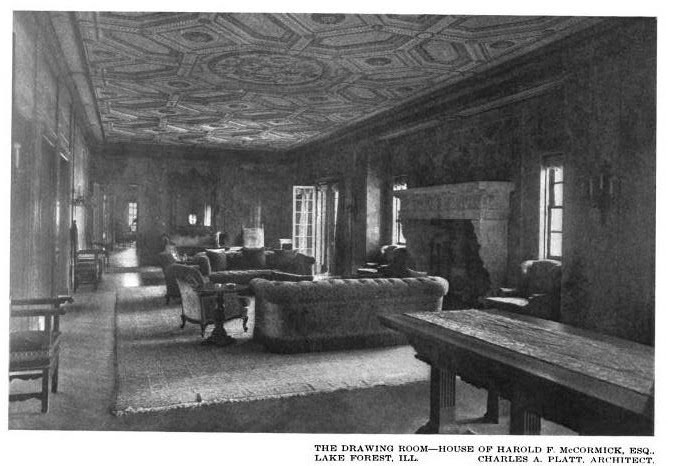 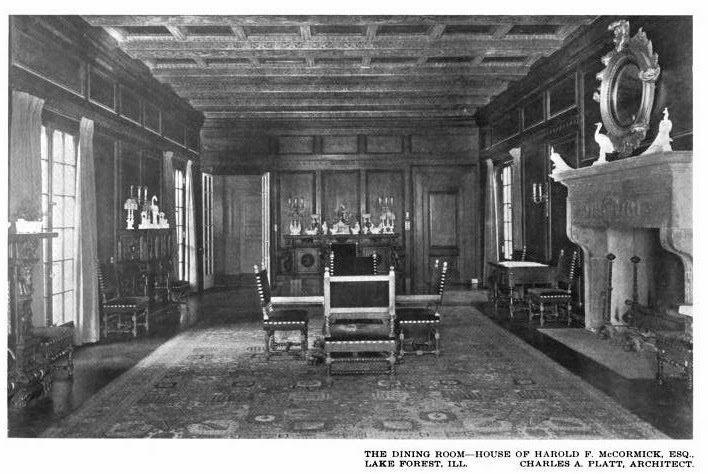 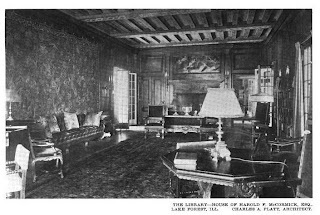 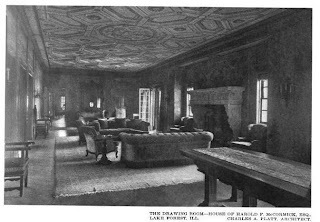 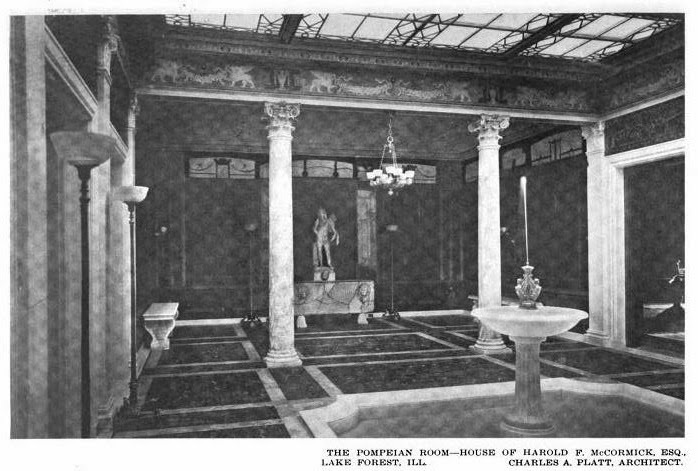 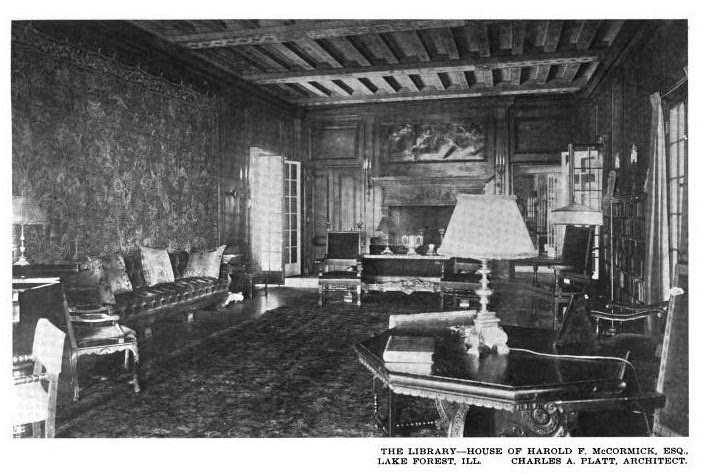 Photos from Architectural Record, 1912. 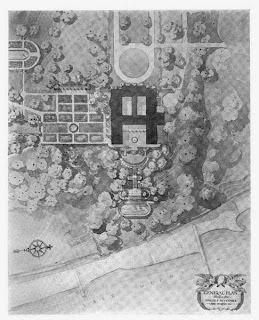 Given the complex history of the property one can't blame Platt for the house. 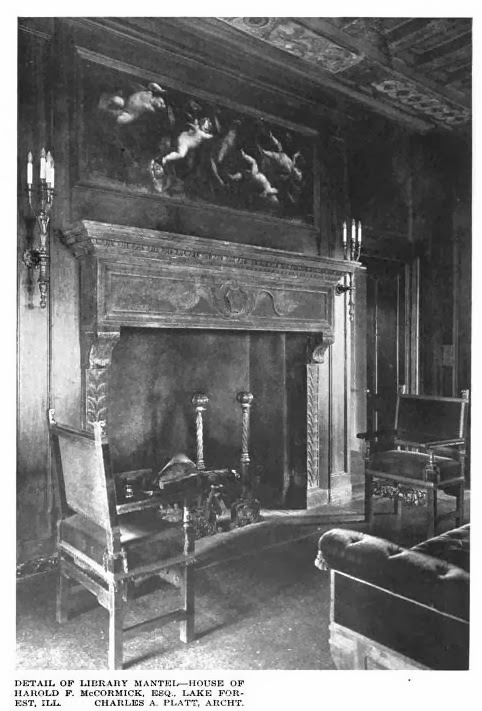 It wasn't his fault, but that of the clients. 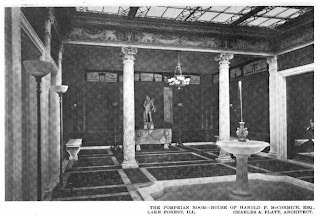 I often thought of this property as one of the strangest of the era...so much went into building and maintaining it and it was never really lived in for more than a few days. 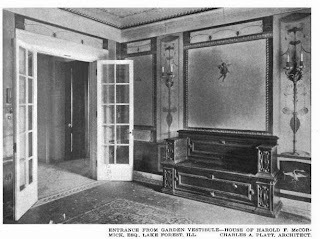 Such a waste.